What could be more fun than a bunch of LEGOs built to some of the best themes possible? LEGO Technic sets and kits add motors, gears, lights, and movable parts to some fantastic LEGO machines. 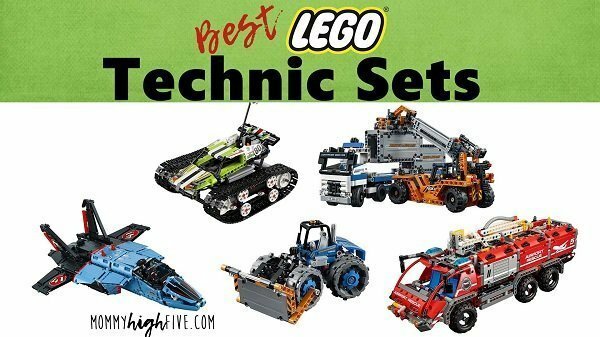 LEGO Technic sets are really fun to build and play with, but it is important to note that some sets will be wrong depending on the age of the person you are buying for. We’ve ranked our favorite LEGO Technic sets by each age group. LEGO Technic was started in 1977 as a way for LEGO to put motion and more complicated features into LEGO sets. Since 1977, LEGO sets have continually added more features and have taken Lego sets to a new level. LEGO Technic sets can contain motors, pulleys, gears. These sets also show off more details. 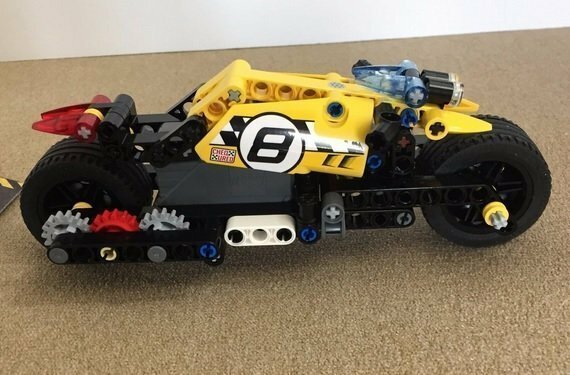 A LEGO Technic car model will not only look good, but might show off the motor, or have a pull back mechanism that propels the car forward. 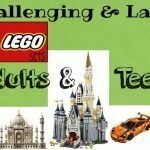 What makes a LEGO set right for each age group? These 6 beginner Technic LEGO sets would be perfect for a good Lego builder ages 5-8. It is important to note that there is more to complete, and these are still more complex than the average LEGO set. If your kid is not patient these are not good sets for your kid. These sets are all a good value at under $20 and have simple mechanisms which are fun to play with and perfect for younger kids. 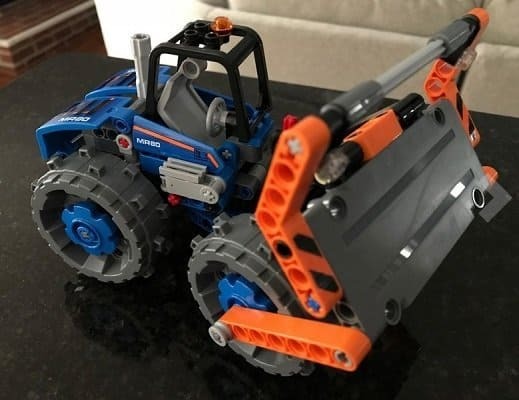 This Technic Bash LEGO set is perfect for younger kids. It is built out of only 139 pieces, but the size feels bigger than that. The tires, flames, and decals really give this a nice look. It features a pull back mechanism to power the car’s movement. This set can be combined with the WHACK LEGO set 42072 to make WHACK ‘N BASH. This set is a good value. LEGO says it is for kids ages 7 and up, but if your 5-year-old is a good LEGO builder, he or she would probably enjoy this. The LEGO Technic WHACK buggy set is a small and simple 135 piece set. In order to get this car to move, you need to simply pull it back and let it rip. This set pairs with the technic BASH set in order to form WHACK ‘N BASH. This set can be a bit complicated for kids younger than 6 but is probably possible for a 5-year-old that is good at building. At less than $20, this budget LEGO set has a lot going for it. This blue stunt truck is a ton of fun. It has kind of a CARS movie look to it with its cool blue color and high back tires. The white and blue flaps almost look like eyes, adding to the cartoon look. The Technic stunt truck is made from 142 pieces and is fairly easy to put together as LEGO Technic sets go. Pull stunt truck back and let it jump over the included ramp. 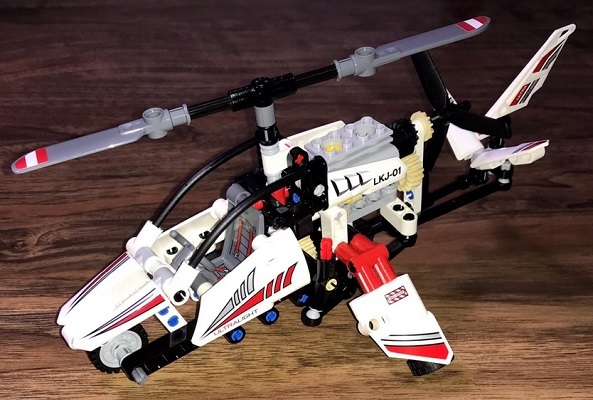 This experimental LEGO Technic helicopter has a lot going on. It is amazing you can get a functioning gear-driven rotary mechanism for its under $20 price tag. This set is a little more complex than the rest of the sets shown in this category. It is probably better to wait until your child is 6 or 7 before letting them build this. Because the gears are visible, this set is great at explaining how gear science works. This great looking dozer set comes complete with a cab, driving set and wheel, and dozer compactor. Also can be re-built into an articulated truck. The dozer set is made from 171 pieces. The blade can be raised and lowered to simulate real-life bull-dozing. This LEGO street bike set has a simple but strong pullback mechanism. It has kind of a Tron bike look to it with the straight yellow colors. This set contains 140 pieces and would probably be fine for some kids ages 5 but should be fine for all 7-year-olds. It may require some adult assembly. The pullback mechanism is driven by the grey and red gears shown. This set comes with a stunt ramp to allow you to pull back and let the bike jump. The Technic Stunt Bike can be combined with the 42059 power racer to build even a better stunt truck. This is a fun set if you child likes bike sets. These 8 LEGO sets would be perfect for a good Lego builder ages 9-11. It is important to note that there is more to complete and these are still more complex than the average LEGO set. Just like we recommended on the previous group of sets, if your kid is not patient these are not good sets for your kid. These sets are all under $100 and have mechanisms and builds that are more complicated than those we recommended for 5 to 8-year-old kids. 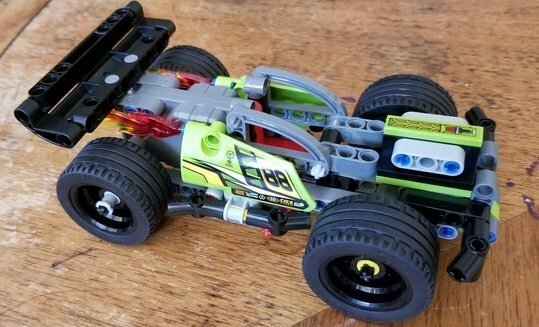 This remote control car, I mean LEGO set, is a great example of what LEGO can do with design. The set contains 370 pieces and is significantly more advanced than the smaller sets up above. It measures over 3” high, 8” long, and 6” wide. 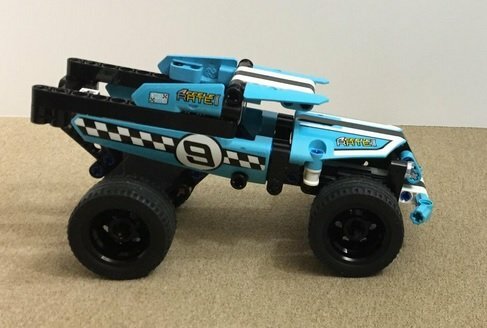 RC Off-Road Truck is over 5” high, 7” long, and 6” wide. I’d recommend at least age 9 for this set because it contains a lot more moving parts and complex mechanisms than the intro Technic sets. This car is a 2-1 model, which means it is designed to work as both a remote controlled track car and an off-road truck. 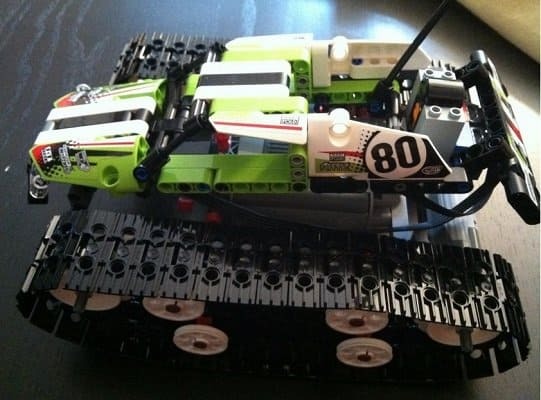 This is one of the most unique features of this set is that the tracked racer can be controlled by remote control. The cab can be lifted to show the mechanism of the track. 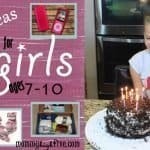 This set would be great fun for both boys and girls alike. 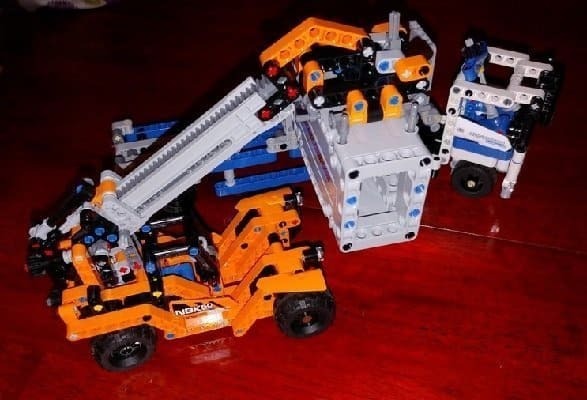 This great Technic LEGO set has not only a functioning truck that can be moved and turned, a container that can be loaded and off-loaded, but it also contains a boom truck. It contains a medium number of pieces, with 631. It is amazing how much LEGO gets done with this small number of pieces. This set can be built into two different configurations. The first configuration has a yellow boom truck that has two different extending functions. One mechanism pushes the boom forward, and the other extends the boom up. The container truck can be turned from the top of the cab. Cargo on this one is simple but clean. 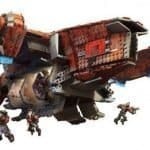 A new container truck is the second build, and I actually like the look of this truck better. The yellow truck forms a Container Straddle-Carrier which is common in shipping yards. 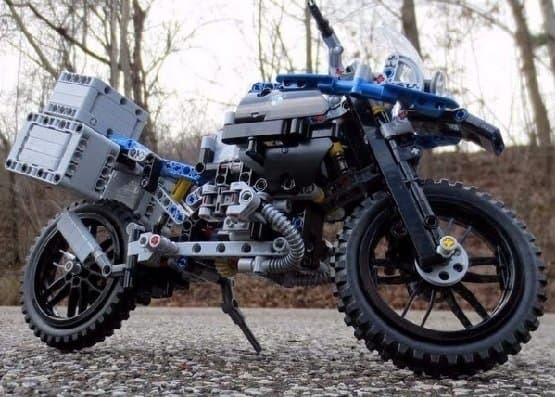 This great looking LEGO motorcycle was a collaboration between LEGO and BMW engineers. The bike looks and feels fantastic. With front and rear suspension like you would expect in a real motorcycle this bike is quite realistic. This bike measures 7” high, 13” long and 3” wide. It is made of 603 pieces. I’d recommend 9 and up for this motorcycle build or at least with some adult supervision if bought for someone younger. It can be driven and steered by moving the handle bars. The bike is driven by a simple gear chain that is visible as you move it. The kickstand even works on this set. Not only is it fun to play with, but it would also make a good display piece. Also can be built into a secondary hovercraft type vehicle. Cue the siren, and this rescue vehicle is off to the races to save the day. 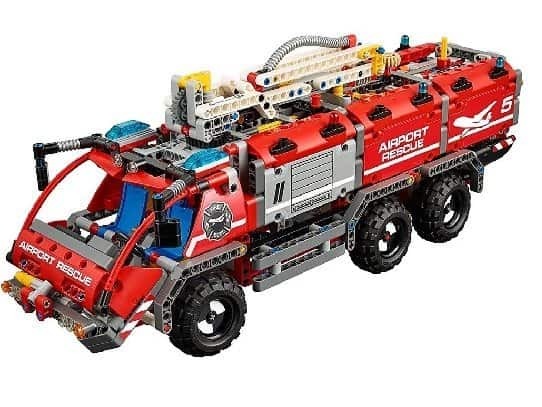 This airport rescue vehicle is 1094 pieces and looks great in fire engine red. It measures over 16” high, 21” long and 5” wide. With the boom retracted it measures 6” high. This vehicle has two alternate forms and both look good. The second build has a smaller truck and cart. I think I like the look of the second truck a little better than the first. This set has lots of good looking decals that add to the detail of the rescue vehicle. The boom on the top can be moved up and out, and it can be rotated by operating a knob. By pushing a switch up or down you can switch between the two options. There are tons of other details and movable parts inside and out. 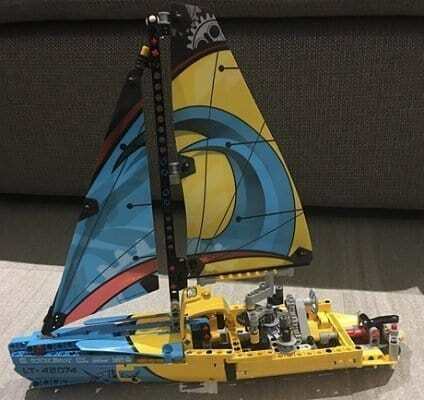 This yacht is a 2-1 LEGO toy, which means it can be built into a small sailboat or a catamaran. The pieces and bright stickers help give this boat its look and feel. My favorite part of this boat is the rudder mechanism; I like that it is built with a worm gear. This set has only 330 pieces and primary set measures 1” high, 14” long and 3” wide. I’d recommend this set for ages 9-11. I is a good value for lower budgets and has a lot of features for the number of pieces. 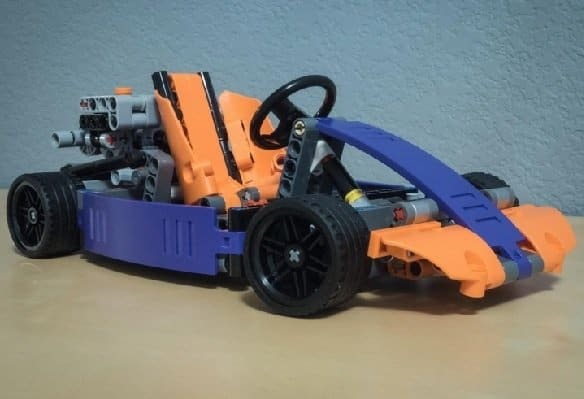 This Technic Race Kart is ready to take your LEGO imagination to the Indianapolis 500. This smaller sized set is built out of 345 pieces and measures 10″ long by 7″ wide by about 2″ tall. I would consider this an easy to medium Technic build. I’d recommend this for kids 9 and up. This race kart set has a side-to-side steering mechanism. This set really captures the spirit of a race kart with all of the details. One of the coolest things with this set is that it has 2-speed transmission. When the lever is used, it can change how fast the piston moves as you roll the car. This lever changes the gear ratio of the motor. Overall, there aren’t a lot of pieces to this set, but it looks and feels really nice. 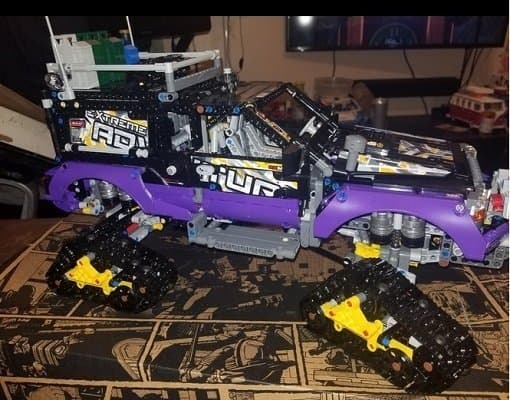 It is a true Technic car in that you can see the mechanisms. Ready, set go! This aerodynamic set is off to the races with record breaking speed. This set looks like it is ready to the Bonneville Salt Flats and race for land speed records. The feel of this set is really good with good aerodynamics and everything so low to the ground. This set measures over 3” (8cm) high, 11” (29cm) long and 2” (7cm) wide. 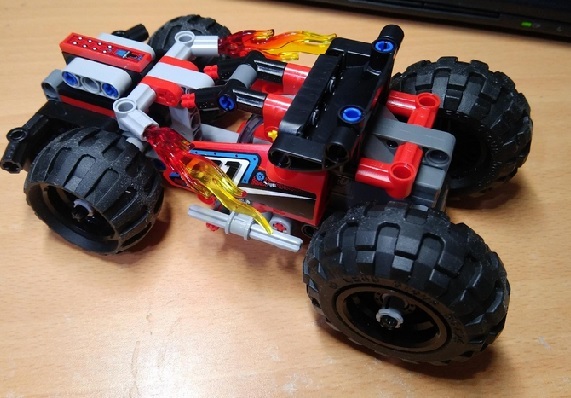 This set can be combined with LEGO Technic set 42034 to make a great racing truck. 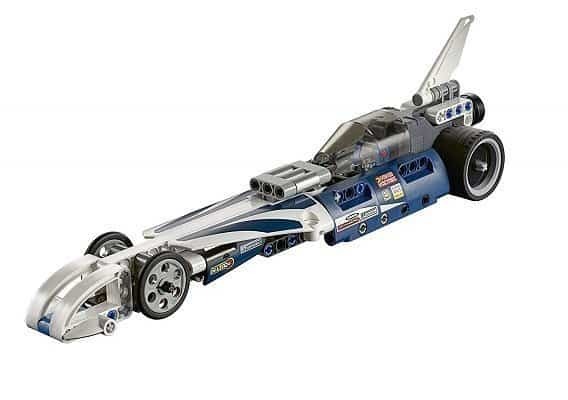 Like some of the less expensive and simpler racing sets, this also has a pullback mechanism that allows the car to go forward after winding it up. It also can be built into a separate race truck. I’ve added a video below of a real life speed racing test for a similar real life car. This mine loader is a really great medium difficult Technic LEGO set. It has a great construction vehicle look and feel as well as some great mechanisms. There are 476 pieces in this set, which measures about 4″ high, 4.5″ wide, and just under 15″ long. If you are looking for a good construction set that moves, this is perfect for probably ages 9 and up. My favorite feature of this set is definitely the claw grabbing mechanism. You can rotate a wheel that will grab and release a barrel. All of this mechanism can be seen from the outside of the vehicle. This set also includes a barrel that can be grabbed by the loader. This is definitely one of my favorite medium Technic build sets. It has two great builds, and both look and feel great. This set contains 1020 pieces, and the main build measures over 7” (20cm) high, 15” (40cm) long, and 6” (16cm) wide. This set is a little more complicated than most in the 9-11 category. 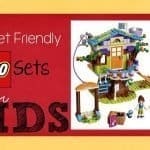 I’d recommend this set for kids 11 and older or if built with an adult. The first and main build, as shown above, is a great looking hovercraft and a small off-road truck. The second build has three different vehicles including a smaller jet boat, a helicopter, and a loading truck. Unlike some other sets, the alternate builds in this set are as fun as the main build. I love the look of the all of the propellers. Moving the hovercraft across the ground will turn the wind propellers. There are small wheels at the bottom of the set that drive the propellers while moving. These 9 large and difficult LEGO sets would be perfect for a good Lego builder ages 12, 13, and up. It is important to note that there is more to complete and these are still more complex than the average LEGO set. Just like recommended on the previous group of sets, if your kid is not patient, these are not good sets for your child. You would be better with another set. These sets are all over $100 and have mechanisms and builds that are more complicated than those we recommended for 9-12 year old kids. That just means these sets are more fun, more detailed, and can do more than the easier ones. Just like mega Nerf guns, teens and adults love their LEGOs. Words cannot describe just how big and amazing this Lego set. This set contains a whopping 3599 pieces and measures 22” (56cm) long, over 5” (14cm) high, and 9” (25cm) wide. Kids age 13 and up will love this set, but I’d recommend a teen to be about 15 or 16 if they are going to finish this set by themselves. 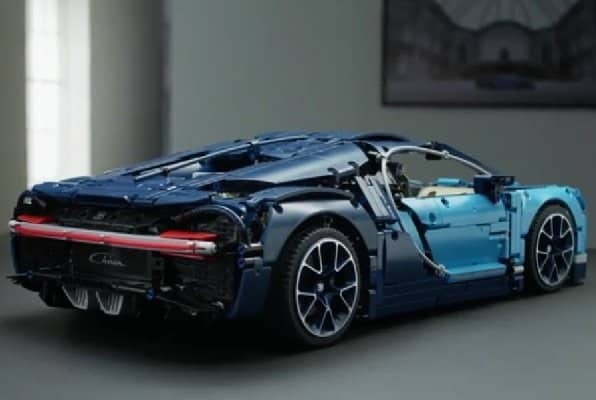 The Bugatti contains a functioning 8 gear box and is just loaded with great features like custom wheels and a spoiler that can be moved up and down. Just make sure you set aside a full work day to build this set. The steering wheel works the front wheels. Moving the car will cause the pistons to go up and down in the motor. The spoiler can be raised and lowered with a key that is included. This is probably my favorite LEGO Technic set. Although this LEGO set is fairly expensive, in this case you definitely get what you pay for. 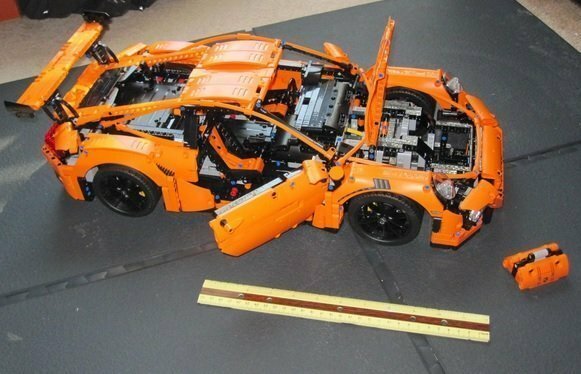 This LEGO Porsche is absolutely stunning. LEGO engineers and Porsche engineers worked together for over a year to develop this great looking set. The set is a whopping 2704 pieces and measures over 6” high, 22” long, and about 9” wide. This is probably my second favorite LEGO Technic set. I’d recommend this set for teens ages 15 and up. I’ve included a fun youtube video of an actual Porsche 911 GT3 so you can compare the LEGO set to the real car. Some of the key features include a working suspension, custom printed wheels, great curved lines, and a fantastic looking spoiler. This Porsche has a four gear options on the power train. Unfortunately, many of the working parts on this Technic car set are buried on the inside. However the builder can still enjoy these great mechanism by understanding how this Porsche is built. 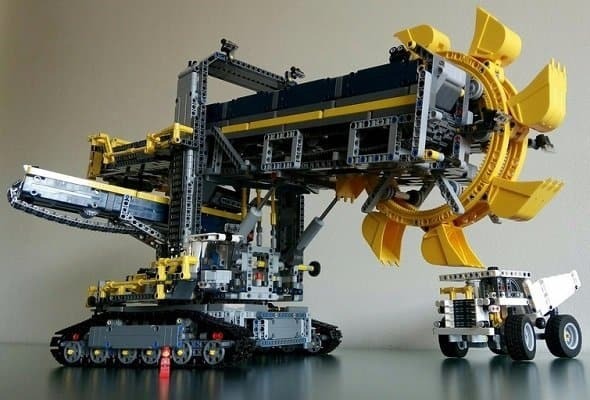 This excavator is the largest Technic LEGO set ever made, at 3929 pieces. It is amazing in both look and function. The set measures measures over 16” high, 28” long, and 11” wide. There is an alternate build of a processing plant for this set as well that measures over 8” high, 34” long, and 8” wide and over 12” high if the boom is extended. I definitely prefer the original build, but it is nice to have options for both. I’d recommend this set for ages 14 and up, though I would definitely recommend at least 2 people for the build. This set is absolute massive in size. It has some of the best mechanisms of any set here. Because of the size of this set, I’d recommend building it with someone else. This set can move on its tracks, but it is slow moving. The best part of this set by far is its functions. The bucket wheel excavator set has a few powered functions that operate the buckets and move the conveyor belt. You can also put a mini figure in the cabin in the front. It can pick up real LEGOs and let them go along the path of the conveyor. Overall, this is a great set that shows off some cool mechanisms. 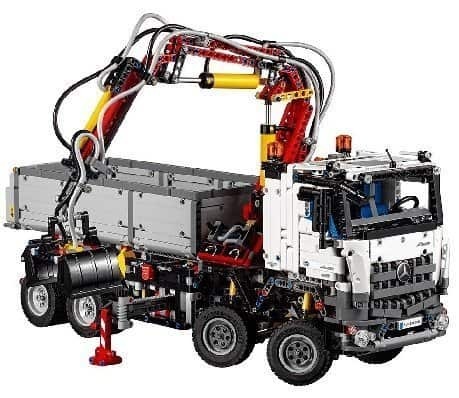 This Mercedes-Benz Arocs 3245 set is a great collaboration between LEGO and Mercedes-Benz. It contains 2793 pieces and measures over 12” high, 21” long, and 5” wide. 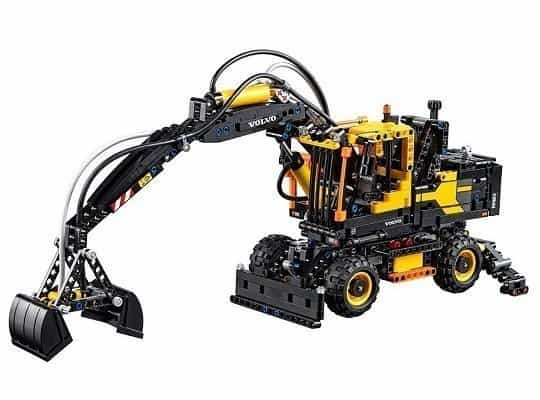 Overall, this is a good looking and functioning Technic set that is sure to be a hit with adults and kids alike. This set has really good suspension that can be viewed from the side of the truck. Additionally, it has some great looking and functioning power features that allow stabilizing arms to extend from the side. It can also automatically open and close the bucket, as well as rotate the boom arm around to the side of the truck. The pneumatic systems also look and function well on this truck. A steering wheel in the cab turns the truck. This car has a great presence and is a very good looking car, thought not as nice or as big as the Porsche and Bughatti reviewed above. However, it is much less expensive than those sets and still has tons of features that LEGO Technic fans will enjoy. 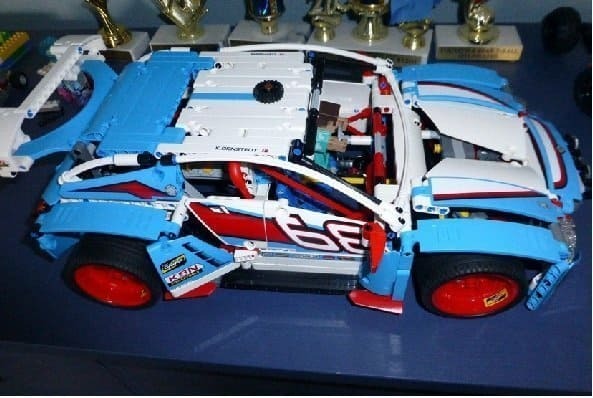 This car LEGO set contains 1005 pieces, and the rally car measures over 9” (24cm) high, 16” (42cm) long, and 8” (21cm) wide. The alternate build Buggy measures over 6” (16cm) high, 14” (36cm) long, and 8” (22cm) wide. 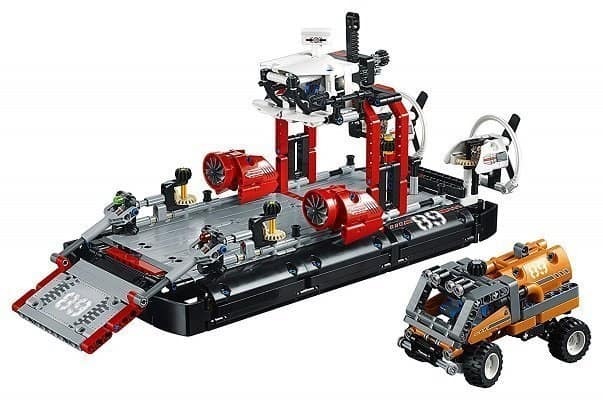 I would recommend this set be built by teens ages 13 and up or with an adult. The back of the rally car can be raised and lowered to give access and show the back mechanism. There is a nice looking engine, but it is not super detailed. The hood front can be raised to show off some cooling fans. Overall, this set is a good value and a fun set for the price. LEGO Volvo EW160E Excavator was designed with the help of both LEGO engineers and Volvo construction. This set contains 1166 pieces, and the main build measures 11″ high, 18″ long, and 7″ wide. An alternate vehicle build, a great looking Volvo fork lift, measures 6″ high, 9″ long, and 4″ wide. I’d recommend this be built by ages 13 and up. This vehicle looks and feels like a piece of professional construction equipment. Functioning power features use hoses and hydraulics to pick up pieces. This fun LEGO air race jet is perfect for the LEGO fan who loves airplanes. 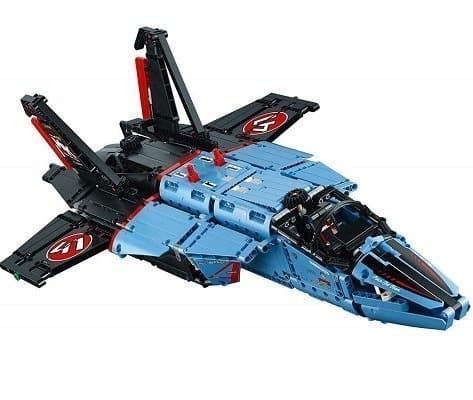 Like many of the other Technic sets, this one can be built into two different vehicles, both a race jet and a personal jet. The race jet measures over 9″ (23cm) high, 22″ (58cm) long, and 14″ (36cm) wide. The private jet is over 8″ (22cm) high, 24″ (61cm) long, and 20″ (53cm) wide. This is a great set, and I’d recommend this set for ages 16 and over, or with adult supervision this could be appreciated by kids over 12. 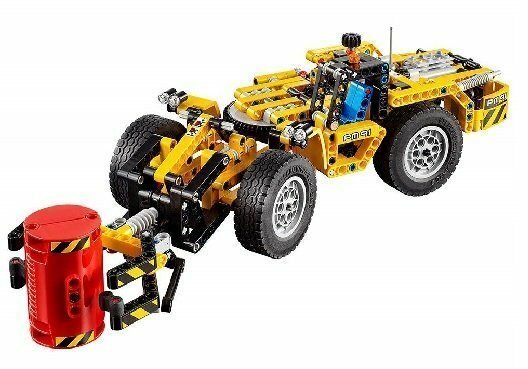 This is a battery-powered Technic set. Press the gear shift lever on the top, and landing gears will automatically pop in or out depending on which lever you press and if the gears are in or out. The plane can be turned with a mechanism from the front wheel. You can also raise and lower the flaps of the plane with an automatic lever. Overall, this plane is very complicated. It has some of the better functioning mechanisms of any of the Technic sets. This purple Extreme Adventure truck looks like it was designed by Tony Hawk, with its skateboard and extreme sports graphics and feel. This set contains 2382 pieces, and the main truck measures over 11″ (30cm) high, 17″ (44cm) long, and 9″ (25cm) wide. An alternate mobile base vehicle measures over 7″ (19cm) high, 18″ (47cm) long, and 7″ (20cm) wide. I’d recommend this build for ages 12 and up. The primary build is definitely better than the alternate build on this one. It just looks and functions better. The doors are spring loaded and work with a clever mechanism. This vehicle has great suspension and is one of its key features. The vehicle runs on 4 tracks that seem a little gimmicky but would work well in the snow. Overall, if you have a kid who is an extreme sports fan and a LEGO fan, this set would make a great gift. Check out these crazy snowmobile jumps and tricks. 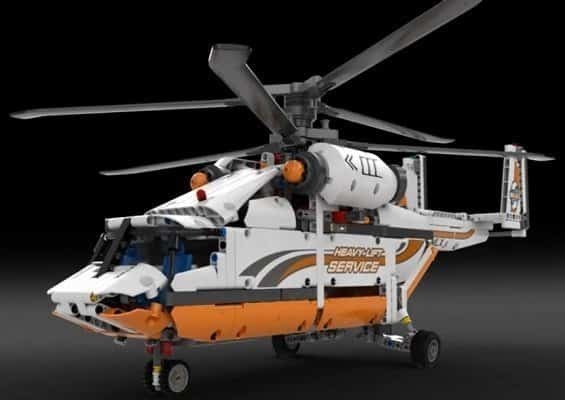 This LEGO Technic heavy lift helicopter looks like it is ready to get to work. This set contains 1042 pieces and measures over 8″ high, 23″ long, and 20″ wide. It is a good build for someone 12 or older. Overall, this helicopter feels sturdy and great and would make a great buy. Some of my favorite features include the great looking offset helicopter blades. The set features a spring-like landing mechanism. The blades can be turned by the power functions operated by a motor that can be turned on with a switch. A separate switch can be turned on to activate the blades; the blades spin but only in a safe manner. Cargo can be loaded through the back door that drops opens. A second smaller cargo door can also be activated with a switch. A winch can be deployed so this heavy lift helicopter can load items in. The second helicopter build is a tandem rotary helicopter with blades that operate on separate rotors. Rudders and other features can be moved by manual actions. Here are some of the top real life heavy helicopters if you want to learn more about helicopters.